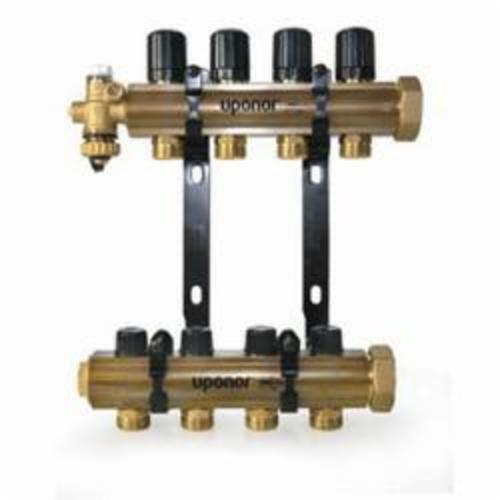 TruFLOW manifold assemblies with balancing and isolation valves come fully assembled and ready for installation. The assemblies are shipped with the appropriate number of TruFLOW manifold actuator adapters (A2630028). Maximum recommended flow to the manifold is 14 gpm for Jr. (1 in barrel diameter) and 21 gpm for Classic (1-1/4 in barrel diameter).